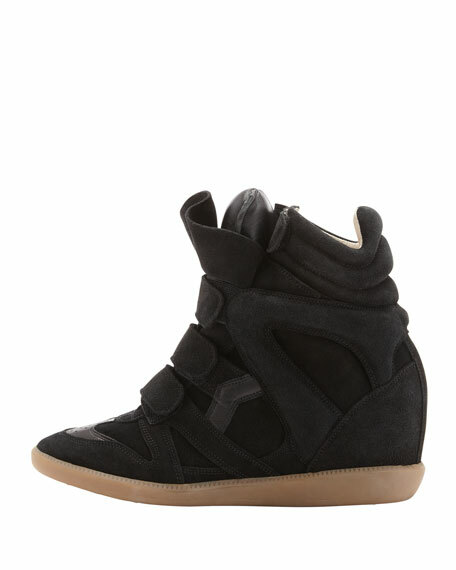 From the original queen of cool, this Isabel Marant high-top inspires a cult following with its hidden wedge heel. Reinforced round toe with perforated detail. Three grip-hook straps at vamp; top strap. 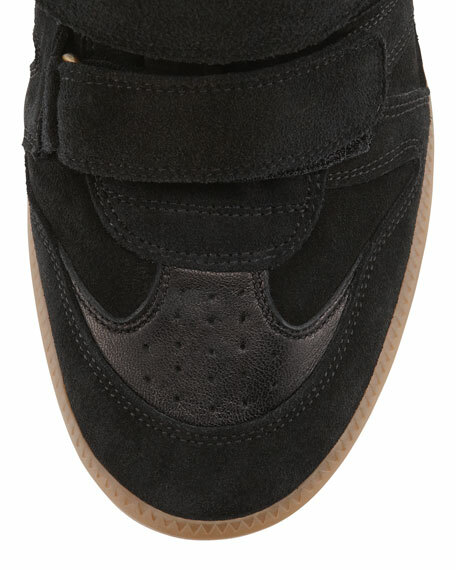 Cushioned tongue; padded piped opening. Approx. 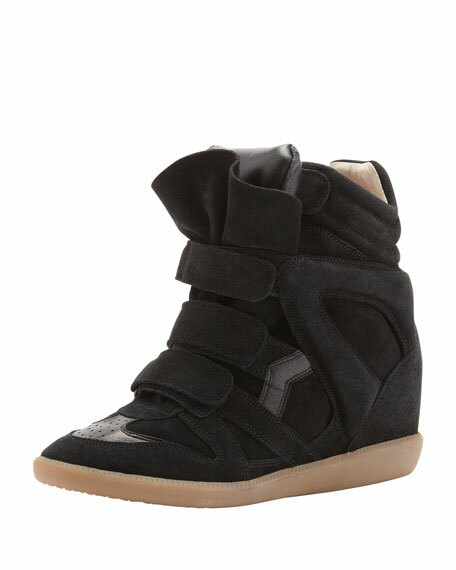 3 1/2" concealed wedge heel. "Beckett" is made in Portugal.